16.0 miles, 5:34 hours, 290 m highest point. 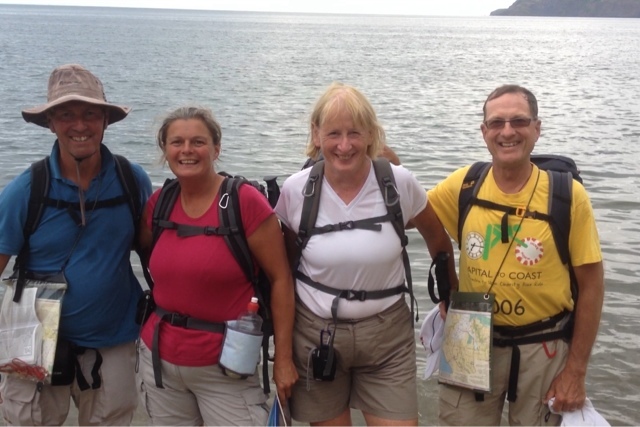 Day 14 of the walk (the last day!). 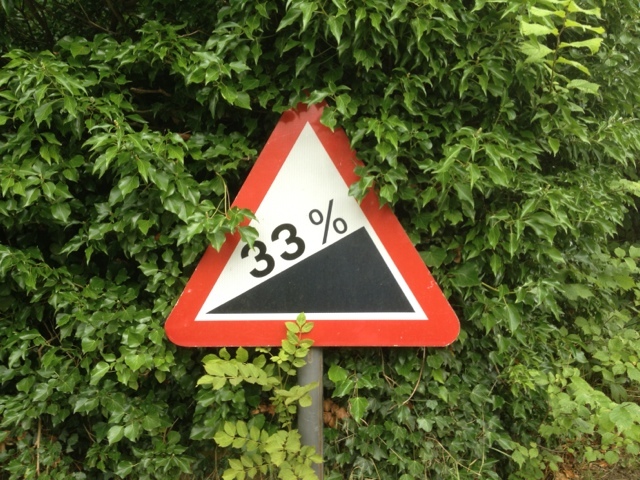 Grosmont to Robin Hoods Bay. 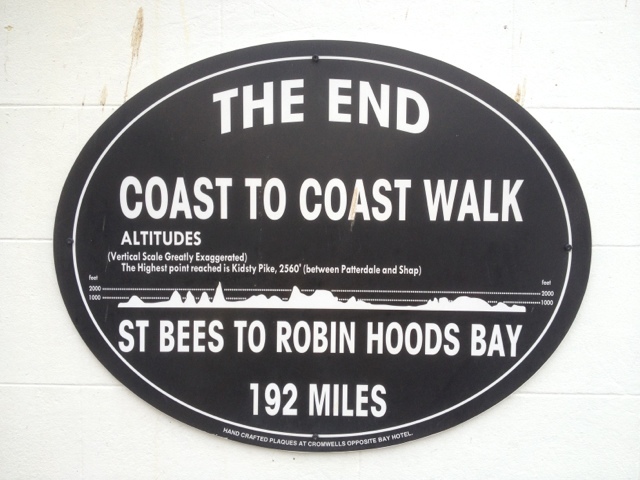 16 miles of climbs, moors and costal paths. Mostly sunshine with a couple of light showers. We made it - 195 miles in total! Not what you want to see as you set off. 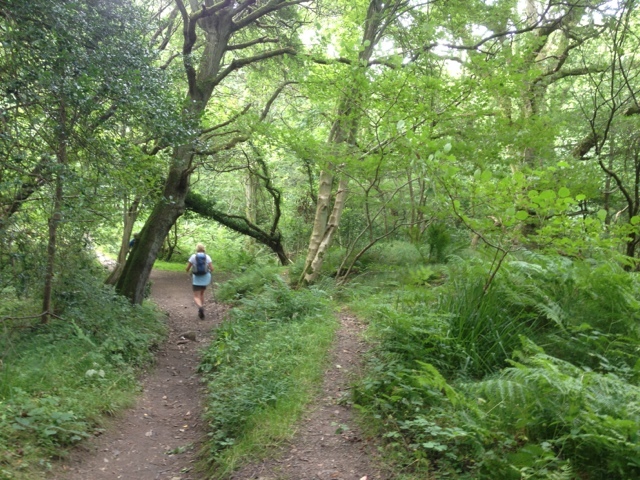 Up over more moors then down to Littlebeck hamlet and into Little Beck Wood - utterly delightful woodland: deciduous trees, ferns, moss, stream. More moors and cross country till we hit the coast. 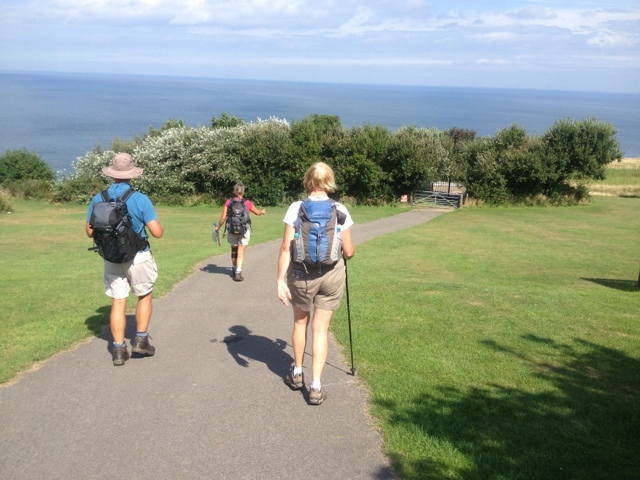 The last few miles are cliff top walking into Robin Hood's Bay. Down to the sea to dip the toe of our boots in the sea and throw the pebble we have been carrying from St Bee's into the sea. 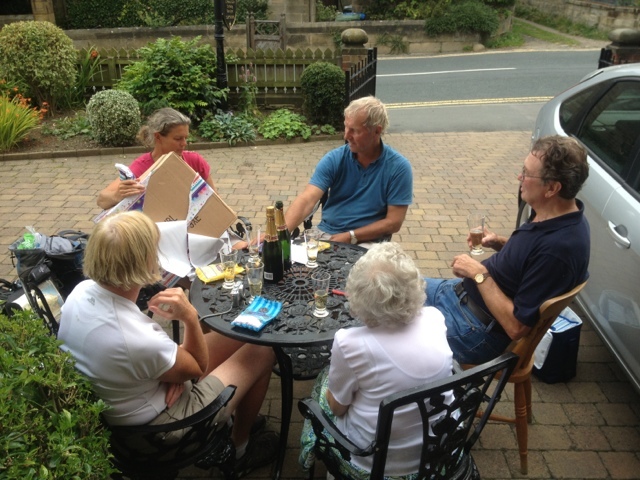 A celebratory glass of champagne to celebrate the end and Lynn's birthday.